January 2016 – History… the interesting bits! 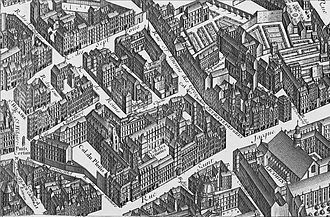 The story of Alice de Lacey is like something straight from a novel, with rebellion, kidnappings and love all wrapped up in the life of this one was born Countess. Alice was born at Denbigh Castle on 25th December 1281. She was the daughter of Henry de Lacey, 5th Earl of Lincoln and, through her mother Margaret, granddaughter of William (II) Longspee, Earl of Salisbury. Alice was one of 3 children. With 2 brothers, Edmund and John, she was, of course, not expected to inherit her father’s earldom. However, 2 family tragedies made Alice one of the richest heiresses in England. 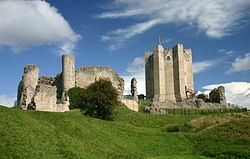 Young Edmund, it appears, drowned in a well at Denbigh Castle and John fell to his death from the parapet at Pontefract Castle, leaving Alice as her parents’ sole heir. In 1294 Alice’s marriage was arranged by no-less than the king – Edward I – who saw her as a suitable bride for his nephew Thomas, Earl of Lancaster and son of the king’s brother Edmund Crouchback. Alice and Thomas were married on or before 28th October 1294; he was about 16 years old and Alice was not yet 13. 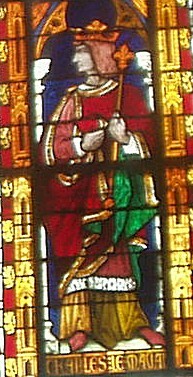 Edward I had shown his unscrupulous nature in the marriage settlement in that Thomas was given part of the Lacey inheritance on the marriage, with the rest to pass to Thomas on Henry de Lacey’s death. 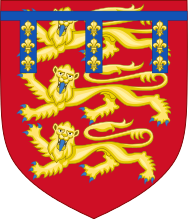 The settlement further stipulated that the de Lacey lands would pass to Lancaster in the event of Alice’s dying without issue; thus excluding all collateral heirs to the earldoms of Salisbury and Lincoln. 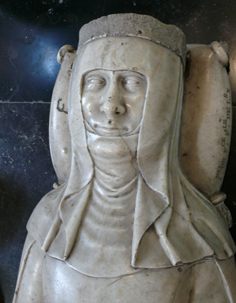 Alice’s mother Margaret, Countess of Salisbury in her own right, died in 1309 and by June 1310 her father had remarried; probably in the hope of securing an heir for his earldom. 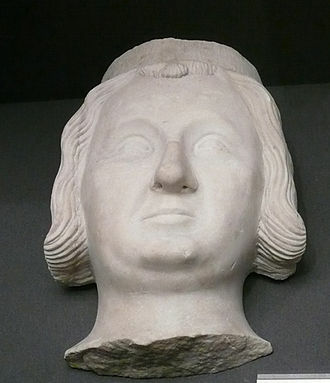 In the event, it wasn’t to be and the Earl of Lincoln died in 1311, with his estates passing through his daughter, to Thomas Earl of Lancaster and Leicester. With 5 earldoms to his name, Thomas now became one of the richest and most powerful men in the kingdom. 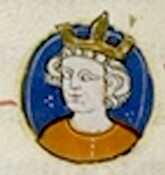 Although he was initially a supporter of the new king, his cousin Edward II, he would soon turn against him and his favourites, making enemies along the way. Poor Alice got caught in the middle of one of Thomas’s feuds. Alice was kidnapped in 1317 from her manor in Canford, Dorset, by John de Warenne’s man, Sir Richard de St Martin, supposedly with the king’s knowledge. Several reasons for the abduction have been put forward; one is, of course, that Alice and St Martin were having an affair while another is that the affair was between Alice and John de Warenne, Earl of Surrey, himself. Given the king’s involvement, a more likely explanation is that the kidnapping was organised by de Warenne in retaliation for Lancaster’s objections to de Warenne’s attempts to divorce his wife, Joan of Bar, in 1315/16. Joan was a cousin of Thomas of Lancaster and niece of King Edward II, but her marriage to John de Warenne was a disaster and John openly lived with his mistress, Maud Nerford. When he attempted to divorce Joan, Lancaster was one of his most vocal opponents; the divorce was eventually refused and de Warenne was even excommunicated for a time. Alice was held at Reigate Castle, Surrey. 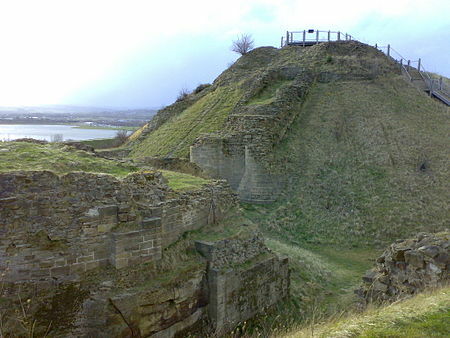 Her abduction set off a private war between the 2 magnates, with Lancaster targeting Warenne’s Yorkshire estates and successfully besieging the Earl’s castle at Conisbrough in retaliation. Although he seems to have made little effort to actually rescue his wife and there is no record of how and when she was eventually released. 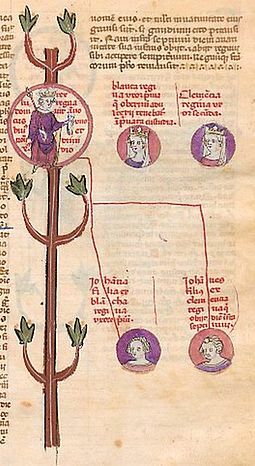 Alice and Thomas’s marriage does not appear to have been a happy one and there is some evidence that they were actually divorced in 1318, with Thomas retaining Alice’s earldoms after enforcing the marriage contract. The divorce was supposedly on account of her adultery with the Earl of Surrey’s squire, Sir Eubolo Lestrange (although this may be a confusion of facts from her abduction and her later marriage). It has also been claimed that Alice and her abductor, Richard de St Martin, were pre-contracted before her marriage to Thomas of Lancaster. However, although this is not impossible, it does seem unlikely, given Alice’s tender age on her wedding day. Whether or not Alice and Thomas did divorce is still open to debate. If the divorce occurred, it did not protect her from the reprisals meted out after her husband’s failed rebellion and defeat at the Battle of Boroughbridge on 16th March 1322. While Thomas was executed Alice, along with her step-mother, Joan, was imprisoned in York Castle. It must have been a truly terrifying time for the 2 women; with no protectors they were at the mercy of the king’s favourites, the Despensers, father and son. Threatened with execution by burning they were forced to turn over the majority of their estates. Having paid an enormous ransom of £20,000 Alice was finally released, securing her titles, a small number of estates and the right to remarry. Her step-mother, Joan, died in October 1322; we can only surmise as to whether or not her demise was as a consequence of her imprisonment. 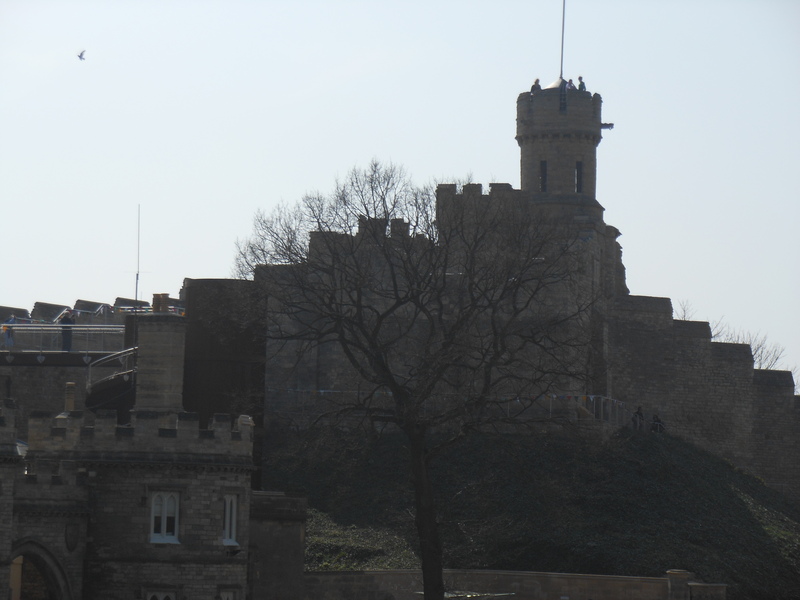 Alice would eventually recover Lincoln Castle and the Earldom of Lincoln, but many of her estates were given to her erstwhile abductor, John de Warenne, and only returned to her by Edward III, many years later. By November 1324 Alice had married again, this time to a minor baron from the Welsh Marches, Sir Ebule, or Eubolo, Lestrange of Shropshire. The marriage demonstrated that Alice had managed to come out of the disaster of her first husband’s downfall with enough income and property to make her an attractive proposition as a wife. Although, it does seem possible that this marriage was a love-match. This marriage appears to have been a happier one, given that Lestrange moved over to Lincolnshire to look after his wife’s interests, and that it was with Sir Eubolo that Alice chose to be buried, when the time came. 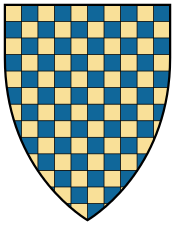 Alice and Sir Eubolo were married for over 10 years, although towards the latter part Lestrange was away campaigning in Scotland, where he died in September 1335. Alice was named as one of his executors and he was buried in Barlings Abbey, Lincolnshire. Following his death, Alice took a vow of chastity and looked determined to settle into a life of quiet retirement. However, her adventures were not quite at an end. In 1335, or early 1336, Alice was kidnapped for a 2nd time; she was abducted from her castle at Bolingbroke and raped, by Sir Hugh de Freyne. 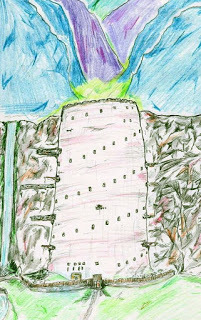 Freyne was a Herefordshire knight and royal keeper of the town and castle of Cardigan. There appears some suggestion that Alice was in collusion with Sir Hugh, with the theory being that her abduction was a way for her to escape her vow of chastity. It seems more likely that Alice acquiesced to a situation over which she had little control. Edward III was furious and ordered the imprisonment of the couple, but they were reconciled with the king 1336 and allowed to marry. 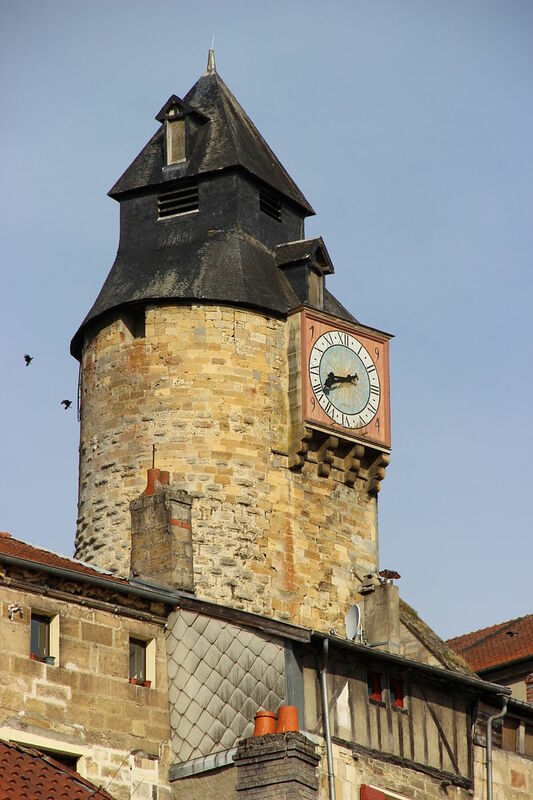 The marriage did much to improve Freyne’s status and brought him a summons to Parliament in November 1336. 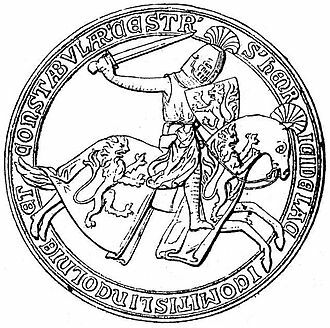 However, such success was short-lived as he died at Perth in December 1336 or January 1337. Shortly after her 3rd husband’s death, the Bishop of Lincoln issued a demand that Alice keep her prior vow and chastity. As there were no further marriages – or abductions – we can probably assume that she did. 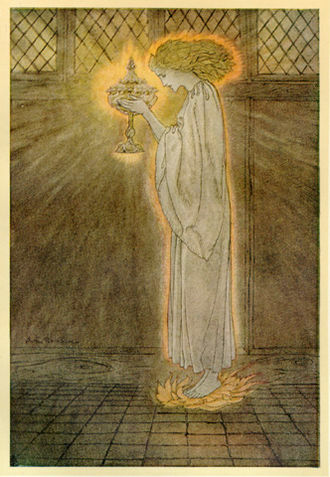 Alice died on the 2nd October 1348 at the grand age of 66. 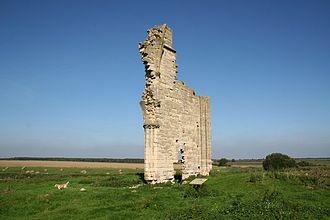 She was buried with her 2nd husband at the Premonstratensian House of Barlings, in Lincolnshire. 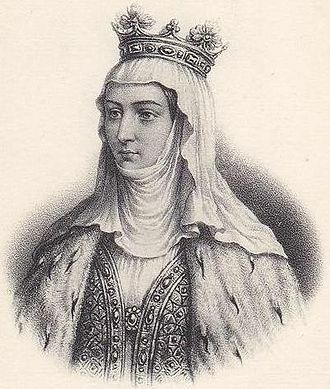 Having had no children from any of her 3 marriages, Alice’s lands and titles, as according to her marriage settlement 54 years earlier, passed to the house of Lancaster and her husband’s nephew, Henry of Grosmont, 1st Duke of Lancaster and father of Blanche of Lancaster, John of Gaunt’s 1st wife. Pictures courtesy of Wikipedia, except Lincoln Castle © 2015 Sharon Bennett Connolly. Sources: The Oxford Companion to British History Edited by John Cannon; The Plantagenets, the Kings who Made England by Dan Jones; History Today Companion to British History Edited by Juliet Gardiner and Neil Wenborn; Brewer’s British Royalty by David Williamson; Britain’s Royal Families, the Complete Genealogy by Alison Weir; Conisbrough Castle by Steven Brindle and Agnieszka Sadraei; The Mammoth Book of British Kings and Queens by Mike Ashley; The Plantagenets, the Kings that made Britain by Derek Wilson; findagrave.com; oxforddnb.com; royaldescent.net. Over on The Review blog! 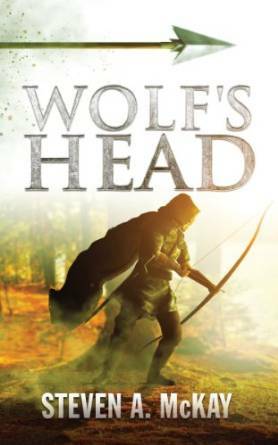 Read my review of Robert Bayliss‘s The Dead Gods: Flint & Steel, Fire & Shadow 2. “After encountering the dark god of Acaross, the Taleeli Commander Kaziviere finds himself transported into the heart of that shadowy realm. Perplexed by the Commander’s disappearance the Sun Shard wielder Tuan, his comrade Bronic, Klesh the Flinter and Kaziviere’s lover Tamzine, embark on a quest to find him. 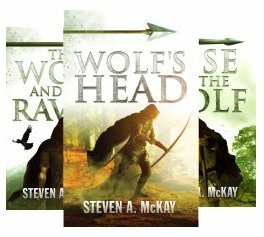 The Dead Gods: Flint & Steel, Fire & Shadow 2 is a beautiful tale of the fantasy genre, with an atmosphere straight out of the medieval world. 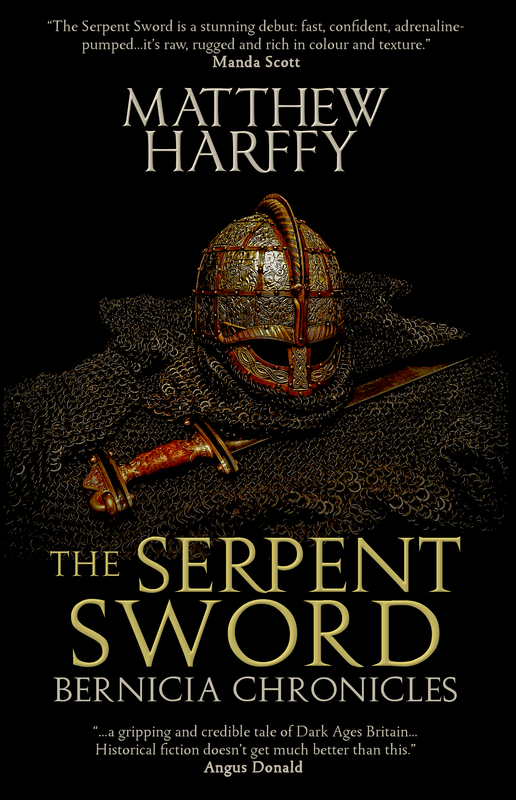 I am very much a fan of historical fiction, or modern-day archaeological thrillers. Fantasy is a whole new genre for me, so I had no idea what to expect when I opened the cover of The Dead Gods. It was a complete surprise to me – and a very pleasant one. It took me way out of my reading comfort zone and yet had me enthralled from the first page. The Dead Gods is the second book in the Flint & Steel, Fire & Shadow book series,but you wouldn’t know it. From the beginning the book works well as a standalone, with the events of the first book revealed as memories in the thoughts of the main protagonists in a way that is subtle and not overwhelming. Ingeniously, the author makes the past all a part of the present. The back story is introduced as I go along, when it is needed to explain a person or event, rather than in huge lumps that take you away from the actual story. 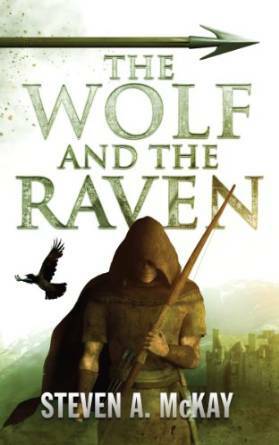 Robert Bayliss cleverly draws on aspects of various eras to create a fantasy world of magic, myth and adventure. Every detail is intricately woven in an amalgamation of the medieval, early modern, and the supernatural. 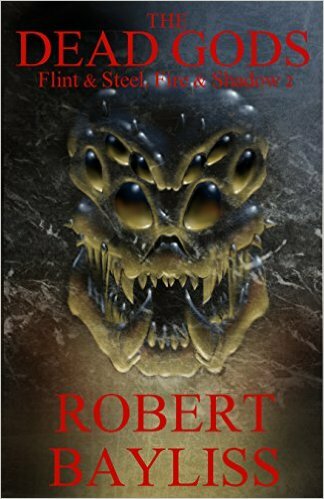 Packed full of action, suspense and mystery – and some suitably demonic bad guys; the story moves rapidly, leaving you few moments to take a breath – or even let out the breath you weren’t aware you’d been holding for at least the last two pages! The girl grinned. “you don’t like what you see?” she said, facing the gladiator in her nakedness. “there is no time, savage!” she hissed. “If you want to live, jump!” She launched herself from the window and was gone. Behind him he heard the door being tentatively opened. On the floor the dogel gasped, his eyes looking wildly around from his battered face. “Tamzine!” Kaziviere said, casting his spell of hope into the world. The lead character are wonderful creations, with their own powers to enthrall the reader. Braebec, Kaziviere, Tuan and Tamzine are heroes of the highest caliber. Each has his, or her, own strengths and weaknesses; confronting enemies head-on, while maintaining their humanity at some considerable cost. They fight to the bitter end and prove themselves worthy of the time you’ve invested in getting to know them. The villains are superbly nasty and supernatural, to the point of making you subconsciously cringe as you read about them (although only occasionally). They attract the worst of humanity to their cause. The contrast between the human heroes and the other-worldly villains provides a brilliant contrast for the reader, making it easy to root for the heroes. We are also introduced to characters our heroes meet along the way, who act as foils and distraction to the bad guys – and the heroes. People such as the alluring Princess Karla and her father, the Khan, have their own agendas that could divert our heroes from their purpose. To be honest, my review can’t ever do this book justice. It fascinates and enthralls as it entertains. In short, you will have to read it to believe it. But beware, once it has you in its grip, you will be absorbed into this strange world until the very last page. And it will leave you desperate to read the next installment …. 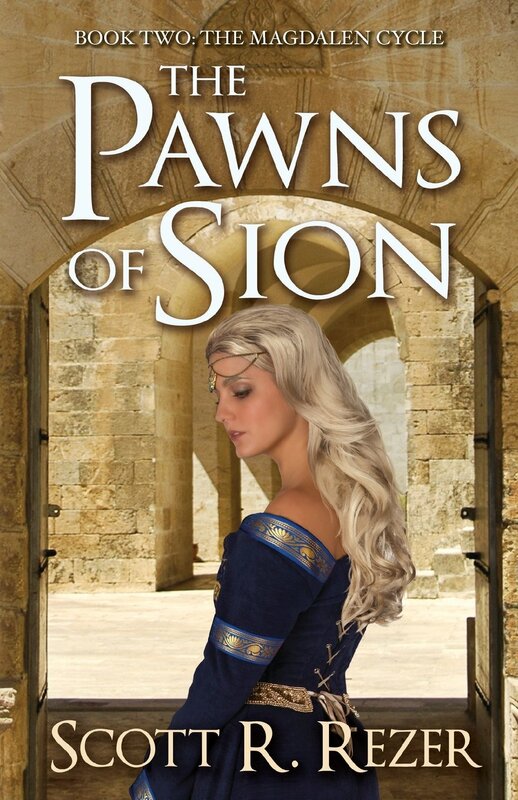 Read my review of Scott R. Rezer‘s The Pawns of Sion. “At first glance The Pawns of Sion looks like a straightforward story about the politics and rivalries of the Kingdom of Jerusalem. But once you start reading, you discover the novel delves deeper than you’d ever thought possible. 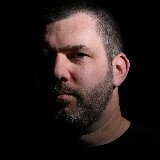 Scott R. Rezer has created a story which merges two realms, that of man and that of the angels. The war between Salehdin and the Christians runs parallel with the greater, age-old battle of good versus evil. 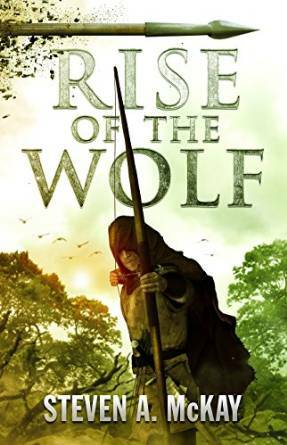 The author has cleverly interwoven the two realms in a deep, intense book. The plot is detailed and unveiled in layers the deeper into the book you get. I found The Pawns of Sion both fascinating and intriguing. It looks deeper into the origins of Christianity than other Crusader novels and the age-old battle of good against evil mirrors the irreconcilable differences of the Christian and Muslim combatants. There is the occasional missing word in the text, but this does not detract from the overall enjoyment of the book. The author knows how to evoke the reader’s sympathy – or distaste – for particular characters. You find yourself rooting for the good guys. The full depth of the story is slowly revealed – each revelation releasing a new feature of the plot. And as each new secret is disclosed, it adds a little explanation to the motives and desires of the protagonists. ….Her magic shrank from the shadow of his evil rather than endure its touch. She walked towards him, sword on shoulder, shedding her immortal glamour and taking on a semblance men knew…. As with many people, the Knights Templar have always held me in awe and although they are not the heroes of the story, their Grand Master Gerard de Ridefort is one of the leading characters. The author makes good use of the known protagonists of the time, weaving his story around their lives and the events that shaped the Holy Land and its politics at the time. Each character is imbued with the qualities passed down by history. 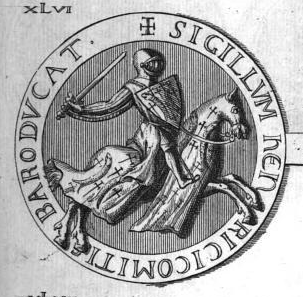 Balian d’Ibelin is the good, noble knight, whose integrity is beyond question. Guion (Guy) de Lusignan is the weak, easily manipulated, indecisive king, while his wife, Sybilla, is the pawn he uses to gain power. 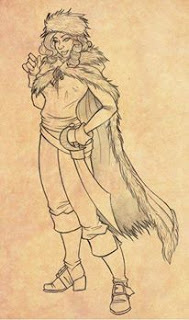 Then there’s the young Ernoul, a fictional character who struggles to come to terms with his destiny. The historical characters are intermingled with the fictional ones, allowing the writer to create his own story within the historical record. The characters are brought to life in the hot, arid backdrop of the Holy Land in the second half of 12th century. The author has recreated the Medieval Near East vividly, cleverly evincing the heat, the dust and the thirst, in the reader’s mind. Although I found the duality of the story confusing at first, it didn’t take me long to find myself totally immersed in the concept, and in the general story itself. I like the depth of the story; the first few chapters reveal a complexity to the politics and religion of the Holy Land of the time. 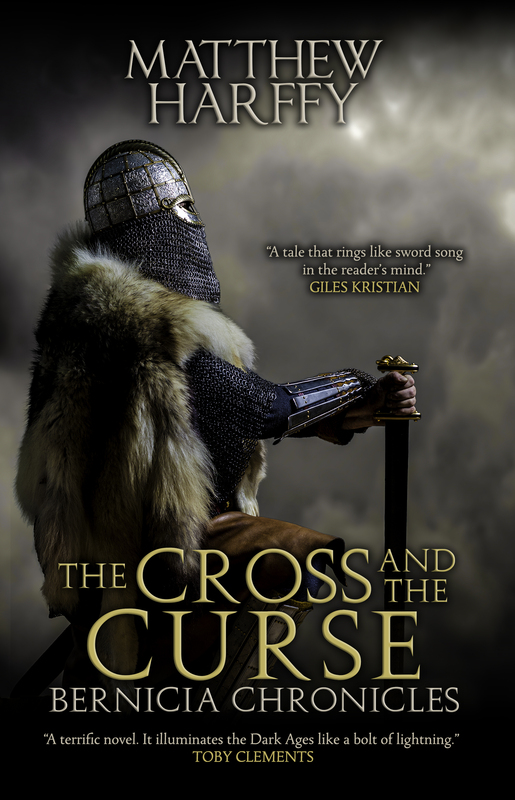 Individual stories are expertly woven together to make one great tapestry; a tapestry depicting the disasters befalling Outremer which would eventually lead to the launch of the Third Crusade. And behind it all are the origins of Christianity itself, the fight for good against evil and the search for the greatest relic, the Holy Grail. It’s going to be very interesting, to see how this story continues in Book 3.